What are your plans this weekend?? I hope you have a great time!! Don't forget about MY GIVEAWAY. Thanks for stopping by!! Beutiful card, love those colours! Supercute! love the stitching and twine! 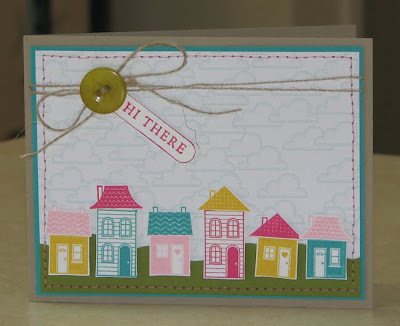 super cute Amy....love the row of houses!